It has now officially been Autumn for 17 days. Although I love Summer, there is something so special about Autumn. The changing trees, the warm (even though it's cold) atmosphere, the misty mornings, slippers, duvet days, hot drinks ... need I go on? My main problem in Autumn, however, is my skin. Eco Tan to the rescue! I've recently stared using this product and I love love love it! 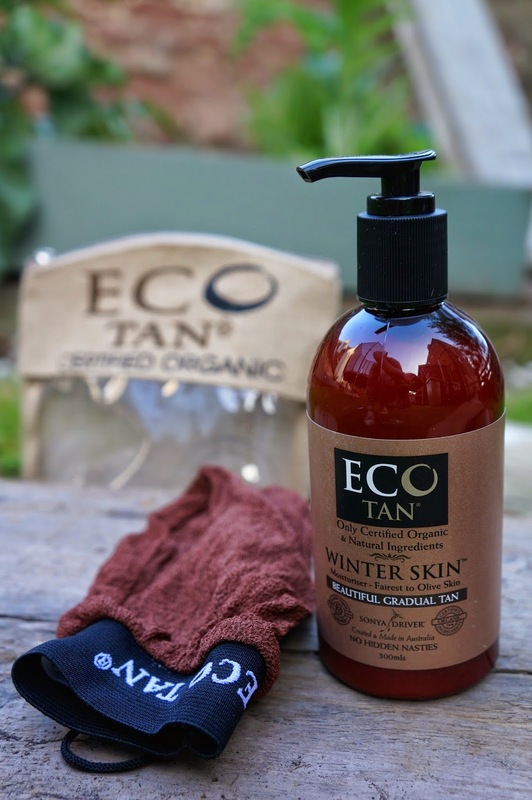 The Eco Tan Winter Skin is a gradual tan which is vegan and uses only certified organic and natural ingredients. The colour actually derives from cacao! This is combined with lots of great soothing ingredients like avocado oil, aloe vera and grapefruit extract creating a product that looks and smells like moisturiser (it literally has no fake tan smell at-all, rather a sweet floral scent) but creates a colour that builds to a lovely natural glow in just a few days. 1. Exfoliate 24-48 hours before applying the tan. 2. Apply Winter Skin on to clean, dry skin using an even application of tan, lightly applying to the elbows, wrists, knees, ankles etc. 3. Wash hands straight after application! Aloe vera leaf juice, glycerin, dihydroxyacetone, glyceryl stearate, cetyl alcohol, stearic acid, radish root, cacao powder, grape skin extract, chamomile flower extract, rose geranium oil, elderberry fruit extract. Thanks to the rose oil, fruit extracts and chamomile, the tan has such a soothing feeling on the skin; just like a moisturiser! I am terrible at describing scents but just now I can pick up a very sweet, floral, fruity scent! Not what you'd expect from a fake tan! Yes! This product is so, so effective! I am not a big fan of 'fake tan' usually as I am always scared of turning orange, that horrible smell, staining white tops, white bed sheets etc. But this product literally covers all of the above! The colour is all-natural (actually derived from cacao), containing no bronzers or synthetic colours, thus solving the smell and colour problems! After applying, I definitely noticed a bit of colour straight away. After three or four days of applying, I seemed to reach the maximum honey glow (such a lovely sun-kissed colour). I normally re-apply once every week, maybe a bit more if I am going somewhere! So to confirm, yes this works and yes I would recommend it!! The pack that my Winter Skin arrived in also contained an Exfoliant Glove (I believe it was the Winter Skin Pack) which I have been loving even on days when I'm not applying the tan! It removes dead skin cells to reveal fresh smooth skin. Its also said to unclog pores, reduce acne, blackheads and even cellulite! I've used this on my face a couple of times and it definitely has made a difference! A word of warning though; use at night on your face as it can leave you a little flushed for an hour or so! And always, always exfoliate 24-48 hours before applying tan!! It's needed for an even application. And now, for the food! - 1/2 - 1 cup of yoghurt (I used 0% Fage Total Greek but you could use CoYo or Soy)! - a splash of almond milk if needed. Place all the ingredients (bar milk) in a high speed blender and blitz until smooth; if mixture is too thick and gets stuck in the blender, add a splash of almond milk. Serve topped with berries and drizzled with honey/ agave. Ahhh... new season, new goals, new achievements?! What do you miss most about summer? 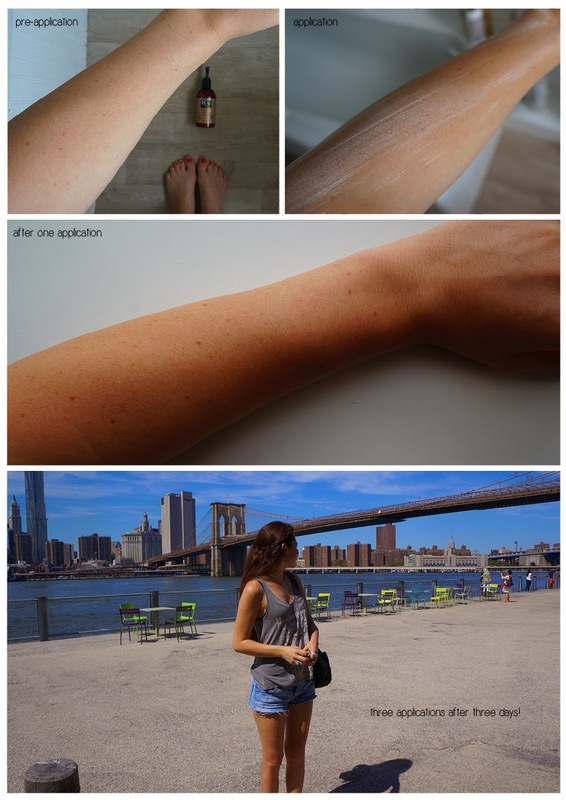 Thanks for sharing amazing information about Winter skin tan. Really very helpfull!!! children body and hair wash.
organic pregnancy stretch mark oil. fragrance free hair and body wash.